My STEVENS (also known as: STEPHEN, STEPHENSON & STEVEN) family can be traced back to Brechin, Angus, Scotland. This ancient city is near the East Coast of Scotland. 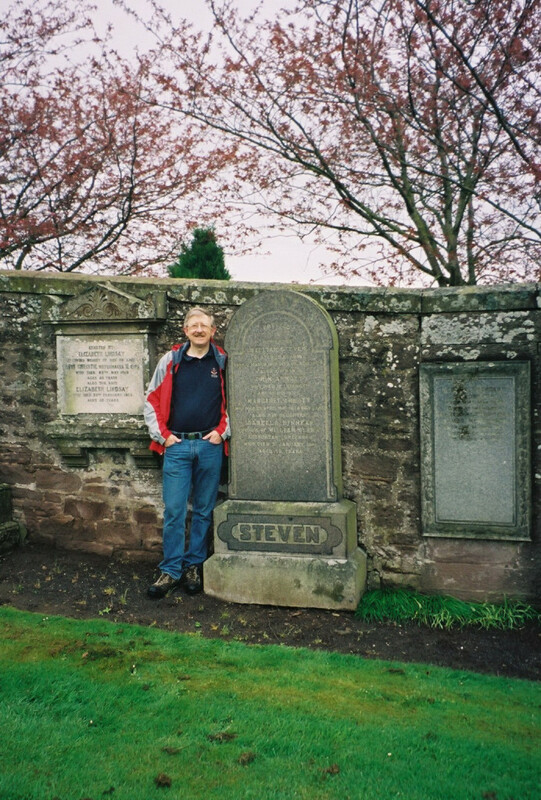 Colin Stevens at the STEVEN family grave in the New Cemetery in Brechin, Scotland. William STEVEN came to Brooklyn, New York, USA in 1864 to work for his uncle David Shiress ARNOTT. Young William’s father, William STEVEN (1815-1890) was a “slater”, who installed slate rooves in Brechin. One can imagine that when they said “lifetime warranty” that the slate roof would indeed last that long! Young William’s uncle David Shiress ARNOTT had a business making tombstones. William was a young man of 18-years when he came over. At some point, William STEVEN added an “S” onto the end of his name, making it STEVENS. We do not know why he did this. The change seems to have occurred about 1874 when he married as a STEVENS but became a U.S. Citizen in 1879 5-years later as a STEVEN, the name he immigrated with. We do know that the name change was not done at Ellis Island. Legend states that many immigrants had their “foreign” sounding names changed by immigration officials upon arrival in America, but we now know that there is no truth to this story. Immigration officials had the passenger lists and already had the spelling of the names. 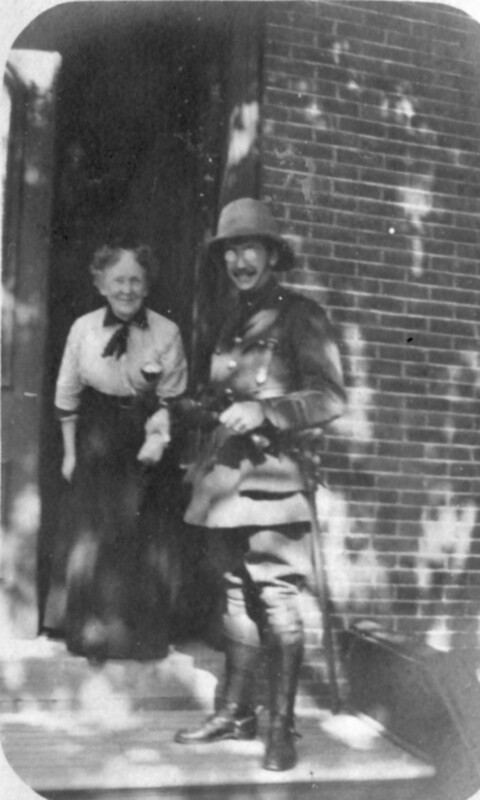 William Arnott STEVENS And his wife Bertha (“Betty”) May GARDNER had one child, my father, Dr. Arnott Hume STEVENS (1919-1985). He added MacGregor to his name. Hume and MacGregor were both ancestral family names. He mainly called himself “Pete”.